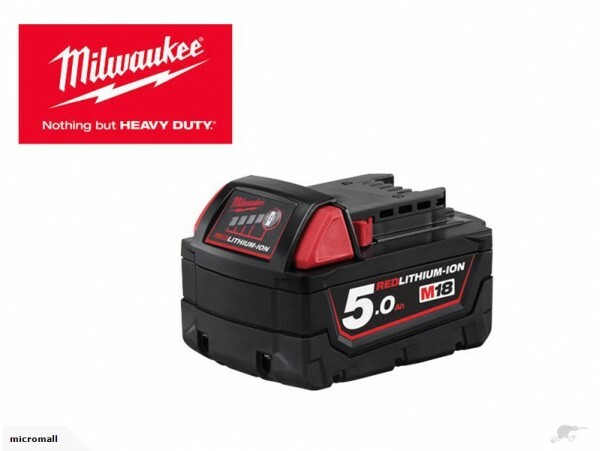 This is a brand new genuine milwaukee 18 volt Milwaukee M18B5 5.0Ah Red Lithium-Ion Battery! genuine milwaukee m18B5 5.0ah Red Lithium-Ion battery! This battery new technology Protected board support 100% Overcharge and overdischarge protection.overcurrent protection, temperature protection, short circuit protection, and anti-aging protection. Suitable for use with all Milwaukee M18, HD18 & C18 cordless tools. FULL SYSTEM INTEGRATION: All M18™ REDLITHIUM™ Batteries are compatible with over 55 M18™ tools in the range.